In our everyday life, we use real estate in some manner; we make use of real estate resources to provide shelter, comfort, convenience, and privacy, a place of work, recreational facilities and related services. In an estimate real estate represent more than 40%of national wealth. Therefore, the manner in which the resources of this magnitude are used has an important effect on the well bring of our people, the success or failure of business firms and the general prosperity of the country. The term real estate as commonly used has two meanings- 1) it is a name given to the commodity “reality” which includes not only land but also all human improvements placed on the land (2) it is the name given to the business engaged in by those persons who conduct commercial transactions in real estate. A realistic as well as accurate approach for the assessment of housing demand would be by taking into account the prevailing income distribution available for financing shelters. Professor M. Shahjahan Mina in his recent paper, “Urban Housing Problem in Bangladesh” has shown that there was an unmet demand of 175562 housing unit in 1973 and we would need to replace at 3609813 housing units in 1985. Mr. Giasuddin Ahmed in his recent paper “Housing deficit in Bangladesh.” Has shown that the housing unit would be deficit annually about 50 lacs . If we accept broadly the estimate prepared by Prof. M. Shahjahan Mina and Mr. Giasuddin in Ahmed the question arises as to the strategy, which needs to be adopted to implement a sound housing policy. So from the above scenario we can easily perceive the importance of the real estate developers in our country. So particularly the main reasons of mushrooming of this business are rapid increase in urban population, scarcity of open space in the important areas of the city, and purchasing land building construction decrease in bank interest rate, rent becoming alternate return from investment. With the passage of time, new concept evolves hence new business formed accordingly. Bangladesh is not an expectation of that. As population grows geometrically, more and more people need shelter to fulfill their basic need. It is an impossible task for the government and general people to solve the task alone. And this need give the birth of real estate business. During 1970s there were fewer than 5 company engaged in real estate business. In 1988 it become 42 working only in Dhaka and now in 2008 there are more than 320 companies engaged in this business. 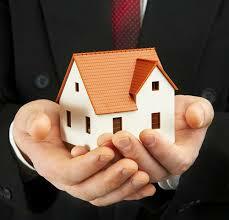 Now in Bangladesh real estate is one of the most promising and progressive business trends. Its growth rate is increasing day by day and therefore contribution to GDP is also rise remarkably. Not so far, in 1980’s the contribution of real estate is GDP were not so remarkable enough to mention. But within 10 year of time, it has charged the situation drastically. In 2006- 2007 real estate developers were working in our country. But in 2008 more than 320 company working in this sector. Where real estate business had no remarkable contribution to the GDP couple of years ago, now in Bangladesh the contribution of real estate developers to the economy are the following.